People in Latvia are giving greater preference to quality in the catering sector than ever before, the board chairman of the popular Latvian catering and food production company Lido Maris Blumbergs told LETA. ''Clients are more educated and becoming more demanding. Quality within the public catering sector is becoming much more important - people are showing greater interest where the food is coming from, as well as the nutritional value,'' Blumbergs said, adding that the company sees this is a positive trend. He said that the company is working extra hard to maintain its high food quality. ''At Lido, we have always made sure that the client has all the information about our food products, their nutritional value and ingredients available to them,'' he said. As reported, the Lido group last year posted EUR 45 million in sales, while the group’s loss amounted to EUR 1.2 million. 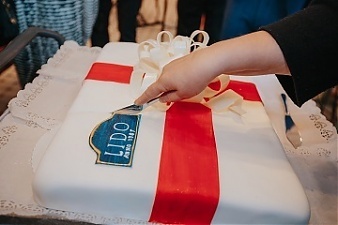 The Lido Group includes 13 Lido restaurants and three stores in Riga, three Lido restaurants in Tallinn, two Kirsons restaurants and a production facility in Berlin, and several production facilities in Riga. The company was established in 1991, its share capital is EUR 992,427. The company's founder and long-time owner and head, Gunars Kirsons is currently chairman of Lido's supervisory board.